I still have BL1 sitting uninstalled in my library from the holiday deals. I guess I should launch it to see what all the hubbub is about. As for rocket launchers, I rather like the Rhino suffix. It causes the projectile to continuously explode during flight, giving you a chance to actually hit something. Yeah, those Rhinos and the rare Mongrel (shoots smaller rockets off of the main rocket as it travels) could be devastating. I have to say the Nidhogg (travels a set distance than breaks into a number of smaller missiles that travel in downward arcs) quickly became my most devastating launcher for my Brick. Get the right distance and you could easily hit an enemy with five or six explosions, to say nothing about being able to hit enemies behind objects. Some good information on Zero the assassin. Can't say I'm crazy about the projected 0 over his head. I don't really like the design on the Gunzerker, either. The other two are good. It looks eerily similar to Psycho Mantis or MNC's Assassin class, with a touch of Daft Punk thrown into the mix. The gunzerker looks like a shortened version of Brick, which I think might be intentional? 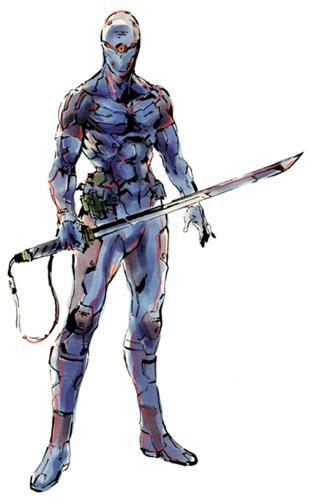 Or Gray Fox, if you want to get all MGS'y (fun fact: Gray Fox was formerly known as "Null"). Whoops, that's what I was thinking of... not Psycho Mantis. EDIT: I'm leaning more towards "homage/parody" instead of direct rip-off based on the Null/Zer0 thing. The Borderlands team has never been shy about stuff like that so I'm pretty sure you're right. IGN did a round of class previews recently. Below is a shameless copy+paste from the SAwful forums. May be added to the original post together with the link to the 14 minute game play video. Like Roland, Axton is all about the turret, however in the article they talk about how each skill tree will alter the turrets appearance to reflect how it's function is changed. Quote from the article" Like the rest of Borderlands 2's classes, the Commando will have three main branches of his skill tree that focus on different aspects of combat. As Cooke explains, "We have what we call our Guerilla tree which is kind of all about getting in there and fighting. It's short range and it has a lot of aggro features built into the turret where you can fight with a shotgun." Basically, that means the turret will be able to hold the attention of enemies and absorb damage while you run around blasting shotguns or SMGs or whatever else...If you'd rather keep your distance, the Commando's two other trees may be of interest. "Some of these names may be subject to change, by the way, but right now we have our gunpowder tree which is sort of medium range combat. It has the longbow turret in it and it focuses more heavily on medium range explosives and to some extent some sniping. Then we have our Survival tree which is all about defense and it has a lot of cool utility powers in it as well. " The first character officially revealed, Salvador is to guns as Brick was to his Fists of Justice! Like Axton, Each of Sal's skill trees modify his 'zerking in various ways. Quoting from the article..
"His rampage skill tree is "about being a whirlwind of destruction." According to Burch, "A lot of skills are actually based off of movie quotes. With the skill Yippe Ki Yay, "while you're gunzerking [dual-wielding], any time you kill an enemy it increases the duration of gunzerking. What happens is that a really large encounter with lots of enemies becomes exciting. You immediately enter your gunzerking mode and every time you kill them you get bigger and stronger and badder and just completely go on a rampage throughout the fight. As long as you can keep killing things you can just keep on gunzerking forever." "
"By leveling Maya and earning more skill points, you can customize the advantages of phaselocking. Paul Hellquist, creative director at Gearbox, explained more. "She's got support trees so she's also kind of a mystical healer and she uses her ability to grant health bonuses to herself as well as the team. If the team or yourself kills the person who has been phaselocked then it grants health to the party. She can use her phaselock ability to revive another player, which is an exciting one so you don't even have to be near somebody to get them up – she can revive people from across the battlefield. Then in some of the other trees she has things that allow phaselock to affect more people. She has an ability that the phaselock sphere shoots out these additional projectiles that then lock those characters in their places as well so she can go into a more control-oriented role." "
"Most interesting is when you decide to attack from the stealth state. If you attack before the stealth timer expires, you don't deal quite as much damage but the cooldown on entering stealth again is reduced. The longer you stay in stealth, the more critical damage you do, so timing an attack right as the stealth timer is about to expire ensures you'll land an especially devastating hit. This seems like it could be particularly useful against bosses and in co-op, giving you the equivalent of a rogue-like backstab. Zer0 is "definitely more single target focused than any other class," according to Hellquist. " Ok, I'm sold on them making the new characters unique compared to the old set. Now when do we get the DLC that allows us to play as the original 4 too? Ok, I'm sold on them making the new characters unique compared to the old set. Yeah but... hawk. Now who will protect my bumbling sniper as he gets caught on scenery and fumbles around trying to aim? Who? I guess I could play as the turret guy, but a turret doesn't have the same personality. It sounds like you can go invisible and have a decoy. Now the enemies won't be laughing at you before you blow their heads off! "Steve" has plenty of personality; you just don't know how to talk to him. Yes, I nicknamed my turret Steve. It is my default nickname for useful nonliving objects. A decoy doesn't have much personality either! If you start talking to a life-size replica of yourself, people might think you're weird. Hm, that makes sense. Maybe I've been too hard on Steve. Oh, and I don't know if it is covered in those articles, but they'll move away from the classes being centered around 1-3 gun types. The only class having talents boosting a certain gun is Zer0 with Sniper Rifles. I personally welcome this. Just compare the availability of decent Combat Rifles with the amount of SMGs dropping left and right. I personally welcome not being pidgeon-holed into certain weapon categories anymore. That was a tape recorder, not a decoy. Big difference! Randy Pitchford did an interview on the latest episode of Major Nelson's podcast. He talked a bit about all the different classes and it does sound like Zero is supposed to be female. It sounds like if you played either Lilith or Mordecai in the first game then Zero is probably the character you want in BL2. I will miss Lilith, I liked being able to wade into a fight as deep as I wanted and then Phasewalk out if stuff got to heated. Man, all the classes sound like so much fun. I don't know what I want to make! That's how I used Phasewalk, too. Or to run way ahead of everyone else to grab the loot and/or win races. He talked a bit about all the different classes and it does sound like Zero is supposed to be female. It sounds like if you played either Lilith or Mordecai in the first game then Zero is probably the character you want in BL2. I will miss Lilith, I liked being able to wade into a fight as deep as I wanted and then Phasewalk out if stuff got to heated. The quotes from the devs in the article linked above have Zero as male, but maybe it's supposed to be "whatever you think (s)he is" since (s)he's pretty androgenous. Speaking of loot, I hope they add in some kind of die roll. It was lame when playing with randoms how some people would just run up and grab everything. I'm not sure how "good with a sniper rifle or a sword" (Zero) translates to a good match for "death on wheels at short-mid range with an SMG" (which is how I played Lilith). I think if they don't implement private loot it will be a big mistake. That has gotta be feature #1 for multiplayer co-op games going forward. Didn't I read somewhere that the guns are going to be more like guns in potentia? Without a physical component I wonder if you don't collect gun tokens or vouchers which could be credited directly to the players instead of treating them like kids under a pinata. True but s/he can turn invisible, and probably gets a sneak attack bonus for attacking while invisible, and who really knows what the skill trees are like? I kind of hoping for some sort of slice and dice mode a la Brick's Fury or whatever it was called only with sword and cloaking thrown in. If so, I hope that's only for multiplayer and not for single player, because getting a bunch of gun vouchers is nothing at all like opening a sweet chest full of guns. I'm mainly hoping that there's a skill tree that allows me to be "death on wheels at short-mid range with an SMG". Without requiring me to do stealth, which I don't enjoy at all. Maybe a skill tree of the siren we haven't seen will do that. I can hope, anyway, since I'm not a big fan of stealth, turrets, or using the biggest guns available.